It's not too often that I get solid industrial metal to review, so when I do I feel like I have to make the best of it. Programmable Animal are especially interesting because of lush production that creates a fully immersive sound and unique compositional techniques that allow their new record Drepsea to soar above the competition, heavy metal for a modern age, filled with all sort of mysterious factory sounds that a middle class suburban boy like me might never understand. Yet, despite all of this Drepsea speaks to something in all of us, something distinctly human. Part of what makes this record so interesting and unique is the sort of tortured vocal lines that define the sound of Drepsea. The bands frontman seems to be wailing about the troubles of a life that has left him forgot. Their is a very real sadness to Programmable Animal's music that makes the music very easy to connect with. Despite the complex patterns and strange effects, we can all connect to the very human sorrow that forms the basis of the record. 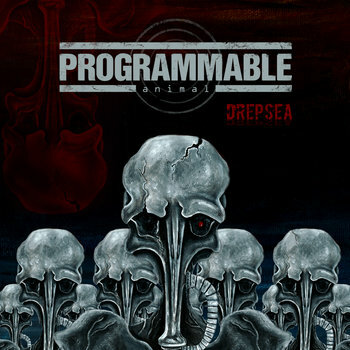 Programmable Animal have, through careful songwriting, been able to balance the experimental with the human, creating something that pushes sonic boundaries, but will still engage fans across the globe. So dig into Drepsea and see what you find. This is the sort of record that leaves you questioning yourself and encourages you to take a stepforward into that brave new world we all deserve to live in. Drepsea is not an easy listen per say, and it's hard to really get into it on the first spin. Once you start to immerse yourself though, it becomes easy to see where they're coming from, heavy metal masters who just want to put out something fresh and beautiful. Programmable Animal understand what the human race is on about, and they distill it into industrial redemption.